Avia Koisen, President of the Papua New Guinea Women’s Chamber of Commerce and Industry is adamant: “The big problem for many women in Papua New Guinea is that they don’t have the economic means to take control of their lives,” she says. 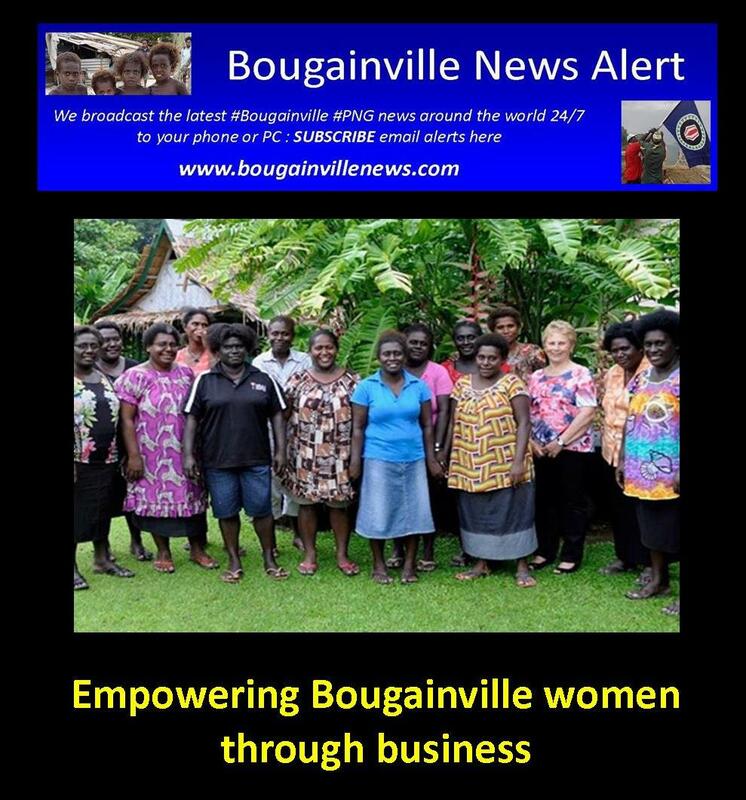 “But with the right skills, women can build their own businesses and so empower themselves economically and socially.” The Chamber was the local partner in an intensive small business training and mentoring program for 15 Bougainvillean women, led by Australian volunteers Rae Smart and Jan Norton. During the program, Rae and Jan, who between them have several decades’ worth of experience in business, ran five workshops in Arawa. Topics included financial management, business planning, marketing, risk analysis, and other areas essential to growing a successful business. They also delivered one-on-one mentoring to participants to help them put their new business skills and strategies into practice. For Rae, the program was like a home-coming as she spent more than 20 years living on Bougainville until the conflict started in 1989. She says it has been hugely positive to meet so many local people, in particular women, working to rebuild and grow businesses. Rae has also taken the opportunity to meet with old friends and to give a number of families photos of grandparents who passed away decades before. Jan had been to PNG on another short volunteer assignment, but this is her first time to Bougainville. Upon arrival, she was struck by the beauty and lushness of the island, in particular its rugged green mountains and the amazing fresh produce filling the market. Jan sees many opportunities for economic growth, for example in construction, cocoa, and groceries. Under its Small and Medium Enterprise policy, the PNG Government has set a target of growing the number of SMEs from around 50,000 to 500,000 by 2030. Rae and Jan’s assignments were delivered under the Your Enterprise Scheme (YES) program, implemented by Australian Business Volunteers. The YES program is supported by Pacific Islands Trade & Invest Australia (PT&I), Virgin Australia, and the Australian Volunteers for International Development (AVID) program, an Australian Government initiative.